Four UN experts called on Manama to ensure that Sheikh Isa Qassim’s human rights are fully respected. The experts welcomed the news that the senior Shiite cleric had been transferred to hospital but expressed concern over the fact that he “remains under guard”. The four also urged Manama to allow Sheikh Qassim to “receive visitors freely, to ensure that medical staff can treat him without pressure of any kind, and to ensure that he can continue to access the medicines he needs after leaving hospital”. “As he recovers, he should be free to move around without restrictions and not be subject to de facto house arrest,” the experts added. 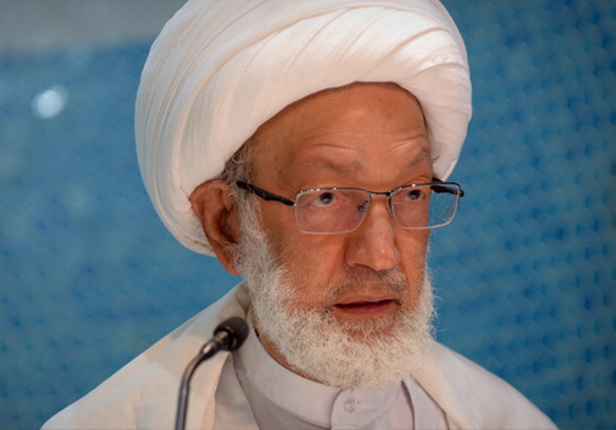 Sheikh Qassim, Bahrain’s highest religious authority, was arbitrarily stripped of his nationality in June 2016. Since then, he has lived under virtual siege in Bahrain’s northwestern village of Diraz where security forces stormed his residence on May 23 and placed him under house arrest. He was transferred to hospital on Monday morning, more than a week after his health deteriorated.